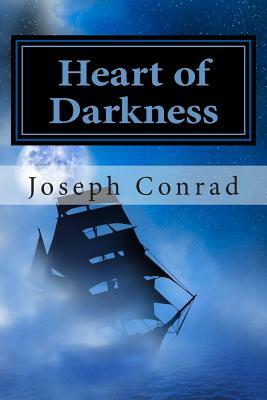 No one seriously interested in English literature can afford not to read Heart of Darkness by Joseph Conrad. As a central device, the parallel journey into the heart of Africa and the dark center of the human experience, remains as powerful as ever. The writing in the opening pages, depicting the men and the Thames and the wide possibilities that rise with every outgoing tide, remain as evocative as anything in English. Conrad's subject is barbarity, a theme as relevant now as then. His dark view of the colonial instinct also stands as a warning at this very hour. Conrad poses the great existential question that was to dominate personal politics throughout the 20th Century, the taking of personal responsibility, the search for personal redemption - as one character puts it: "How to be - Ach How to be?" With "Heart of Darkness" he articulates what Michael Ignatieff has described as "the seductiveness of moral disgust." Faced with the darkness around him, the character Kurtz advises "exterminate the brutes." His final, dread epiphany, his message from the heart of his own darkness "The Horror The Horror " is as chilling now as it was a century ago - a century that has seen more horror than even Conrad could have imagined. Joseph Conrad (1857-1924) was a Polish British novelist, who became a British subject in 1886. He is regarded as one of the greatest novelists in English, though he did not speak the language fluently until he was in his twenties (and then always with a marked Polish accent). He wrote stories and novels, predominantly with a nautical or seaboard setting, that depict trials of the human spirit by the demands of duty and honor. Conrad was a master prose stylist who brought a distinctly non-English tragic sensibility into English literature. While some of his works have a strain of romanticism, he is viewed as a precursor of modernist literature. His narrative style and anti-heroic characters have influenced many authors. Films have been adapted from or inspired by Conrad's Victory, Lord Jim, The Secret Agent, An Outcast of the Islands, The Rover, The Shadow Line, The Duel, Heart of Darkness, and Nostromo. Writing in the heyday of the British Empire, Conrad drew upon his experiences in the French and later the British Merchant Navy to create short stories and novels that reflect aspects of a worldwide empire while also plumbing the depths of the human soul.